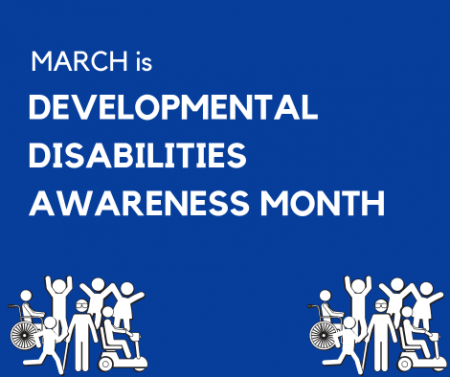 Each March, the National Association of Councils on Developmental Disabilities (NACDD), partners with Association of University Centers on Disabilities (AUCD) and National Disability Rights Network (NDRN) to create a social media campaign that highlights the many ways in which people with and without disabilities come together to form strong, diverse communities. Learn more and check out the resources on NACDD’s website. March is also Brain Injury Awareness Month. 5.3 million people living with brain injuries want the same things we all want: a good job, someone to love, a nice home and fun in their lives. They want to be defined by who they are, not by their injuries. You can help by joining the #ChangeYourMind campaign and spreading the word. Learn more on the Brain Injury Association of America website.